Cologne, Feb 17 2016- The social media analytics provider quintly just revealed findings regarding the correlation of the number of Twitter followers and approval ratings. 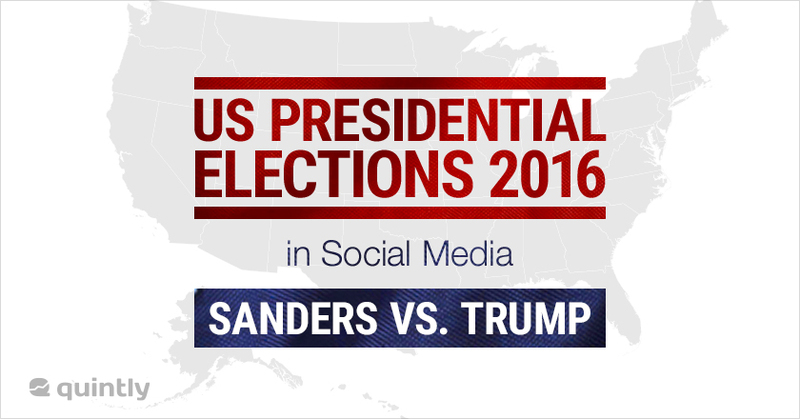 quintly ran an analysis of the social media performance of Bernie Sanders and Donald Trump from August 2015 to February 2016. The study detects that an increase of followers correlates strongly with rising approval ratings. Interestingly, Sanders can reach an almost similar amount of interactions as Trump but with a smaller fan base. We are happy that we can help to improve the understanding of the links between political communication and polls through social media analytics. This is why we will continue to analyze these dependencies going forward until the presidential elections"
By tracking Trumps’ and Sanders’ followers, quintly has shown that these are also positively influenced by the presidential debates. Both contenders could gain new followers by the debate they took part in but also by the debate of the competing party. The picture for interactions per own tweet is less clear, however, it also shows a positive correlation with the polls. The article shows that social media could indeed be positively linked to a politician’s campaign. It has become a vital part of political communication and seems to clearly amplify the effect of other activities and events. Social media analytics can make these correlations clear and thus help to optimize the use of social networks.